Older Dell computers, particularly those from the Pentium II and III times, are notable for using proprietary power wiring on their power supplies and motherboards. While the motherboard connectors appear to be standard ATX, and will actually fit a standard power supply, they are not compatible. Not only have wires been switched from one location to another, but the number of wires for a given voltage has been changed. Thus, the pins cannot simply be rearranged. The nonstandard Dell PSU wiring kills computers if the PSU and motherboard are not matched up. Original ATX Changed to 20-pin connector. ATX12V 1.x Added P4 connector. 1.0: −5 V is required. 1.1: −5 V is required. 1.2: −5 V guidance partially removed. 1.3: −5 V guidance entirely removed. ATX12V 2.x Changed to 24-pin connector. Never had −5 V rail. For maximum compatibility, an ISA PC should have a power supply that provides the −5 V rail. This legacy goes all the way back to the original IBM PC. 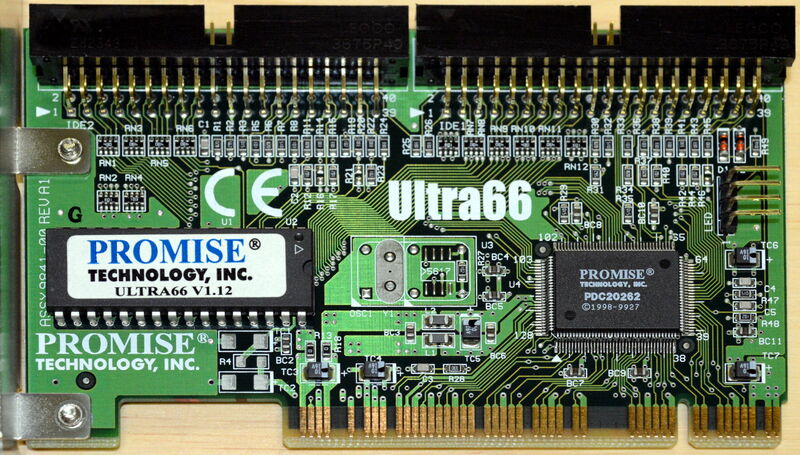 In practice, many ISA peripherals apparently don't need −5 V to work, but there are some noteworthy ones that do, such as the Media Vision Pro Audio Spectrum 16, Sound Blaster 2.0, and Roland LAPC-I sound cards. So when an ISA card malfunctions, lack of −5 V power is one of the possible causes. Ruling it out can be difficult when reliable new PSUs that provide −5 V are unavailable. Old PSUs of the requisite vintage die like crazy. According to Maximum PC, May 2006, Antec Neo HE series PSU + Asus A8N32-SLI or A8N-SLI mobo results in boot failures and random crashing. See Curse of the Large PATA Drive. Just don't do it. According to Maximum PC, May 2005 and Tom's Hardware Forum, nForce4 mobo + Maxtor DiamondMax 10- or 11-series hard drive results in drive not detected or hang while booting Windows. 2013-05: IBM Deskstar 120GXP model IC35L060AVVA07-0, 60 GB, 7200 RPM, ATA-100: Two different drives of this model caused two different computers to hang during boot. If the BIOS was configured to ignore the drive, booting would proceed normally from other devices, and the drive could then be accessed from Linux with no hint of trouble. The first great purge was the release of XFree86 version 4 in 2000, when they made incompatible changes to the driver architecture and nobody had the time or interest to rewrite all of the old drivers. Since then the obsolescence treadmill has only gotten worse. Details moved to X-Regressions dot ARRRGH. This combination refused to work and I don't know why. I just got garbage on the screen (colored blocks and noise that shifted and changed). I put the same video card in a different PC with a slightly newer chipset and it worked fine. Different PCI video cards in the same slot on the same PC also worked fine, even a 3dfx Voodoo3 2000 which was from the same year as the TNT2. 2013-10: Same motherboard, different card, different major problems. This PCI IDE controller originally came with a Gateway computer. The first time around, it seemed to work fine in the old 430FX Pentium PC. But after some minor changes in other components, suddenly nothing worked right. There were no observable resource conflicts, but the system was hopelessly unstable until the Promise card was removed. 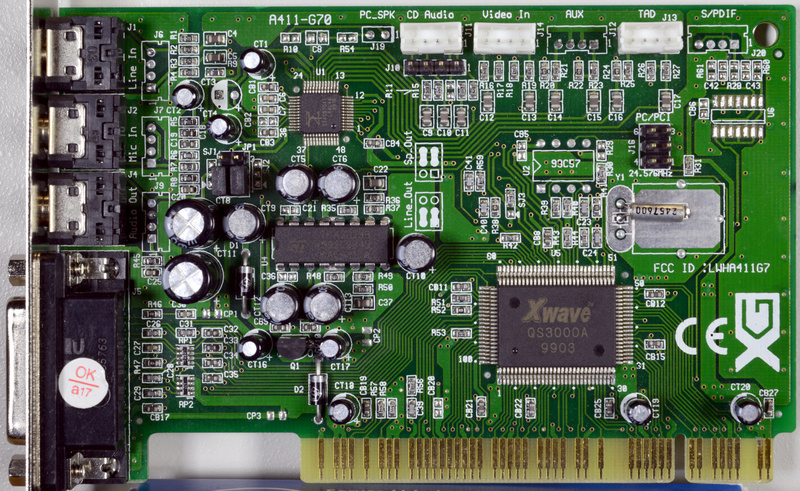 (Late 2014 or early 2015) The Labway/ForteMedia Xwave QS3000A (FM801) PCI card caused instability with respect to the booting and shutdown behaviors of the motherboard. Manufacturers virtually bricking their own legacy products by deleting all drivers and all mention of them from their support web sites has become more frequent. Current law does not recognize a right to redistribute copyrighted materials that have been abandoned by their creators, so unless you had the foresight to archive the drivers way back when, your choice now is to join the Pirate Party or walk the plank. As the operation of add-in cards has become ever more complicated, some manufacturers have used interface obscurity as a mechanism of lock-in and a bargaining chip to extract payments from downstream. In circumstances where a copyright is asserted over some aspect of the interface or the function that the hardware performs, it may be possible for those who circumvent an access control to make their legally purchased hardware work to be prosecuted as criminals under the DMCA.